Our taxpayer, previously from New York, got into an awful mess with the IRS. The IRS made several mistakes regarding the assessment of taxes against our taxpayer and sent him a huge bill. Our taxpayer did not pay it because he correctly believed that he did not owe any money to the IRS. Our taxpayer’s explanation to the IRS as to why he did not owe this money fell on deaf ears, and he was shuffled around from one IRS employee to another. Worse yet, the IRS filed a tax lien against him for the liability that he did not owe. Our taxpayer then lost his banking job and could not obtain other employment, likely because the IRS filed a tax lien against him which is a public record. Between the IRS Office of the Taxpayer Advocate and the taxpayer’s contact with his congressman, the IRS matter was finally straightened out. Although the IRS liability was subsequently abated, the IRS now says that one of his earlier tax returns that listed a substantial refund was never filed and, as such, the refund listed on that tax return cannot now be issued because of the expiration of the refund statute of limitation. Left unchecked, the IRS can not only mess up your tax matters, file an incorrect tax lien and keep refunds to which you are entitled, but the IRS can also mess up other areas in your life such as your ability to obtain a job. 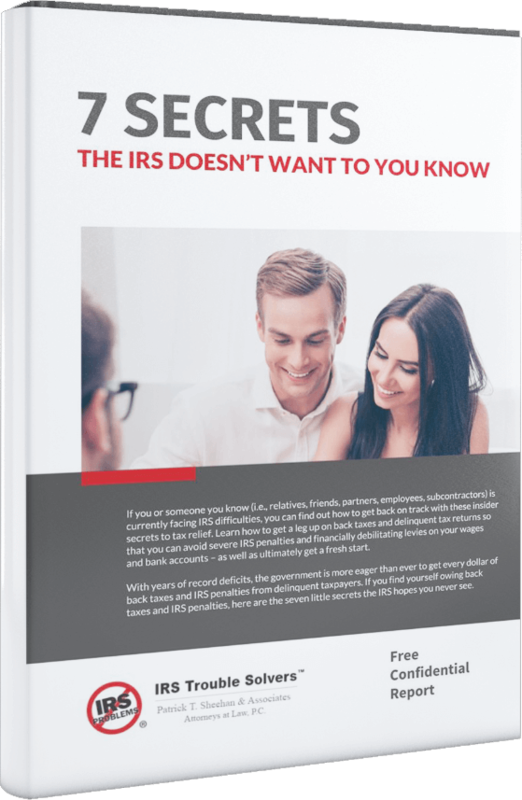 Do you have an IRS problem? Call us, we can help. Don’t face the IRS alone.